If you want to offer something special or rejoice a very lovely person well, then you should try this wrapped cake. It’s a little bit more than the usual work but it’s worth it. Cover your baking tray with parchment paper und heat the oven to 392°F. For the shortpastry bottom fill wheat flour in a bowl, add all other ingredients and work thoroughly with the dough hooks. 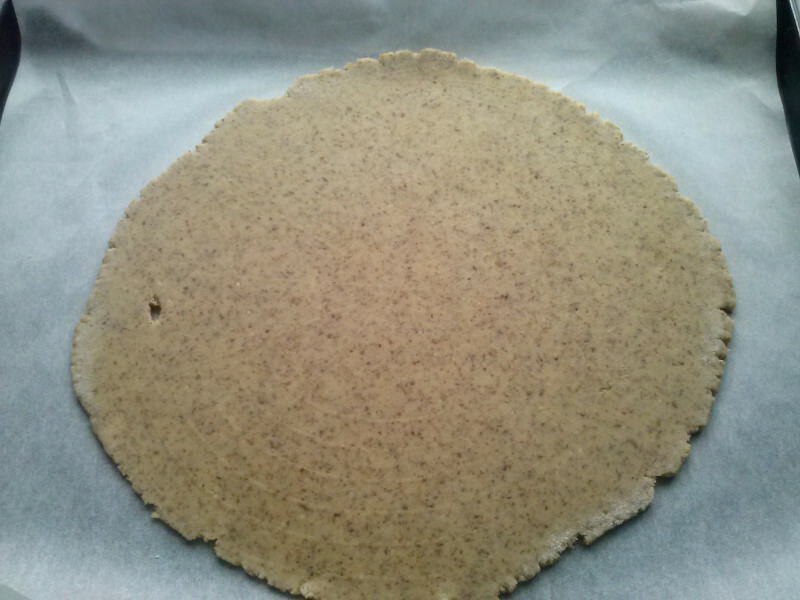 The soft pastry should be rolled out on the tray up to a diameter of appr. 10,5 inches. You don’t have to be too meticulous because the overlaying pastry will be cut off and crumbled in a seperate bowl as soon as the sponge cake has been wrapped. The shortpastry needs to stay in the oven for about 12 minutes. Then lift it off with the parchment paper and let it cool down on a rack. Grease the tray and apply a fresh baking paper to it which needs to be folded up on the open side of the tray. For the sponge cake fill eggs and egg yolk together with hot water in a bowl and mingle at highest speed with your mixer. 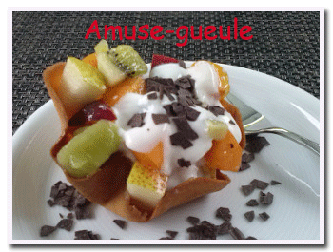 Trickle sugar and vanilla sugar while mingling until the volume has duplicated. Mix flour, baking powder and starch and fold in quickly. Add grounded hazelnuts as well. Discard pastry on the baking paper und put tray in the oven for appr. 8 minutes. After baking turn the sponge cake on a further parchment paper and let it cool between both papers. In the meantime batter cream with gelatine, vanilla sugar, stracciatella yoghurt and rasped chocolate. If you want to decorate your cake like I did you should take away some cream before adding yoghurt and chocolate. They’d block the opening of your pastry bag. Now place the short pastry bottom on a cake board. Spread 2/3 of the whipped cream on the sponge cake. 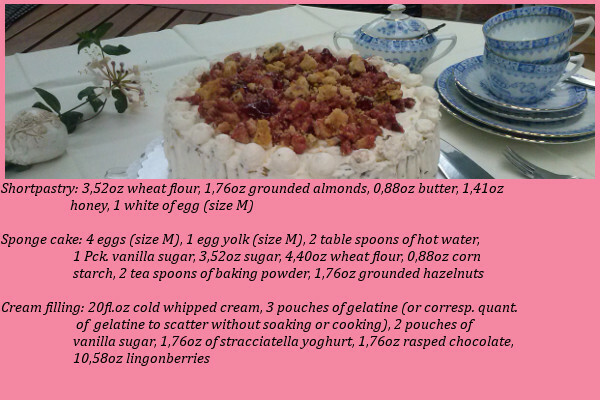 Cut 5-6 strips of the sponge cake, disperse 2/3 of the lingonberries in their middle and make a roll of the first one. Place this roll in the middle of the short pastry, attach the other strips in spirals and push together carefully. After the placement of all strips you may cut off the overlaying short pastry and crumble it in a bowl. Now cover your cake with the last third of cream and design the edge with a baking comb. I also did it with the top of the cake to get some more practice and then put some little cream tops non the upper border. At last the crumbled short pastry and the remaining lingonberries are heaped up in the middle of the cake top. Put it in the fridge for at least two hours before serving. You have created a real eycatcher not only for your teatime but also for every buffet. Besides the steps of procedure my gallery shows some suggestions for presentation.